A lost medieval city in the midle of the Forrest have been taken over by growing plants and tree's. EDIT: New name: Invade instead of Acquisition. Acquisition didn't ha da right definition to discribe the map and this one is alot easier to write haha. Uploaded the newest version on another workshop. A lost Castle in the midle of the Forrest have been taken over by growing plants and tree's. Thanks! Yeah I hoped to keep some good vissibilities and not alot of plants disturbing the view. 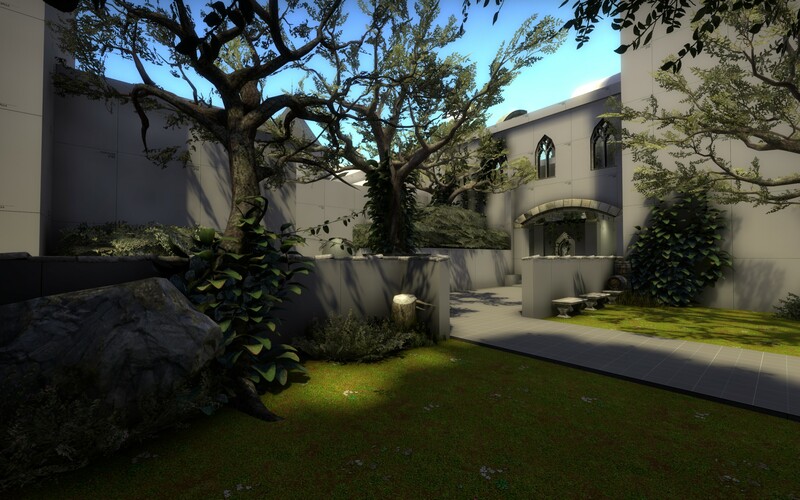 I have been working some more on it, but I am quite struggling with the other bombsite and abit on midle, but I take tiny steps and once I get there I'll post some more screenshots. I hope to get a basic greybox done so I can test the layout and people can walk arround. 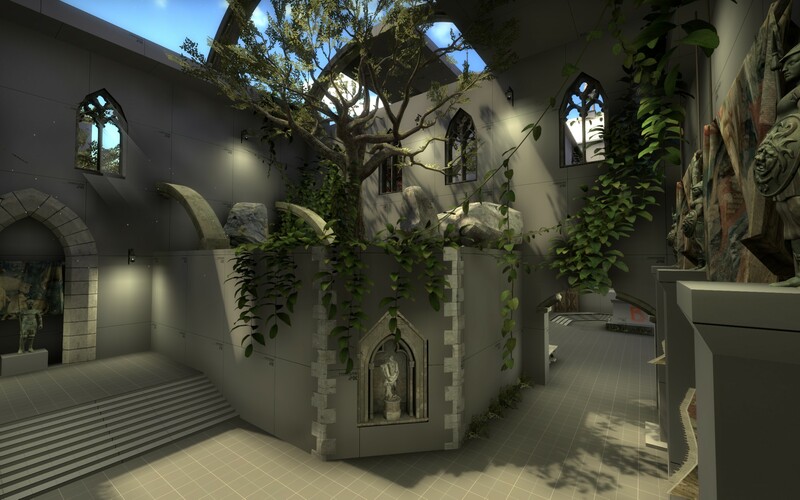 You may get inspired by de_aztec, regarding the artificial lightning. You will have more freedom in placing those lights. Yeah I have took a look, they use lots of open roofs, I can defenitly use that by adding broken roofs/ceilings but it won't work for all places. Anyways.. I have a ruff greybox of the whole map. There is no radar yet. I have to fix a few things. Cover up a few bad seightlines, fill up CT some more and get rid of some nodraws and then I will add a radar for hopefully a playtest. Awesome man, reminds me of something from an Uncharted game. What are your references, if any? Looking forward to what it ends up looking like! To be honest its almost entirly my imagination. I searched on google 'german castle' and 'overgrown castle/cathedral/ruins' and used some inspiration from that. Excuse me for my spam on this topic. I hope I won't bother u guys too much with the updates. I have had a 5 vs 5 competetive playtest with friends.Based on this playtest I changed some minor things troughout the map: filled up B main a litle, extended midle in length, made the A main entrances thinner and closed up alot of view seights on A connector. Besides the litle changes I completly changed A bombsite. 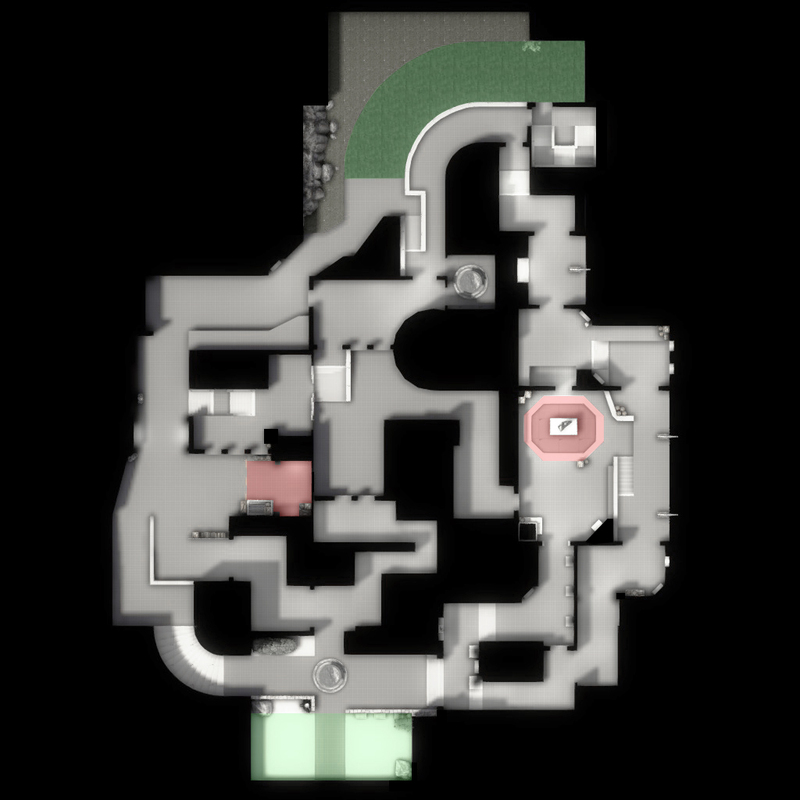 Started to add some background details on T spawn, next will be the background of the main path to A bombsite as these areas most likely won't change alot. I am kinda experimenting with what I want with the 'feeling' of the map. What do you guys think of this? I decided to make it more of a tourist place. So a medieval city with this seight seing castle/palace place with gardens. Workshop is up to date, feel free to walk arround!